Sydney Film Festival is proud to continue their partnership with Screen Australia's Indigenous Department through Screen Black. Two Indigenous female directors, Darlene Johnson and Rachel Perkins, present their latest productions at Sydney Film Festival this year. Darlene Johnson's forceful documentary The Redfern Story tells the story of the volatile birth of the first all-Indigenous theatre company, the National Black Theatre, which was born out of growing political turmoil in relation to land rights in Australia. The Redfern Story features interviews with Indigenous media pioneer Lester Bostock, writer Gerry Bostock, actor Lillian Crombie, activist-academic Gary Foley, academic Marcia Langton and actors Rachael Maza, Bryan Brown and Bindi Williams. Brian Brown features in the film. He starred on stage for a performance as a white racist. His portrayal was so convincing he had to be escorted out for his own safety. 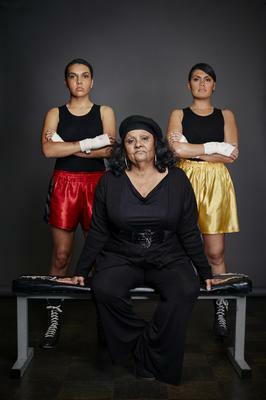 The Redfern Story screens at Sydney Film Festival on June 8 2014 // 5pm @ Dendy Opera Quays. Black Panther Woman is co-written by Marlene Cummins, and written, directed and produced by acclaimed filmmaker Rachel Perkins (Bran Nue Dae, First Australians, Mabo, Redfern Now). 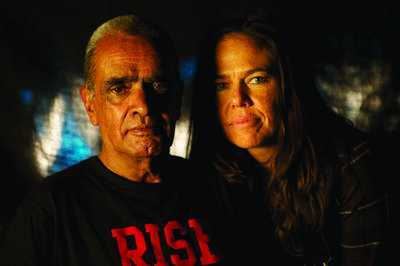 Inspired by their African American brothers, the genesis of the Black Panther's Brisbane Chapter is recounted through the eyes of Marlene Cummins, who looks back on the best and worst experiences of this controversial Aboriginal group in the police state of Queensland, in 1971. Black Panther Woman is one of seven documentaries to be invested in by Screen Australia’s National Documentary Program and premieres worldwide at the Sydney Film Festival on June 12th! So if you find yourself in Sydney, go and show them some support! For more information go to Sydney Film Festival website.